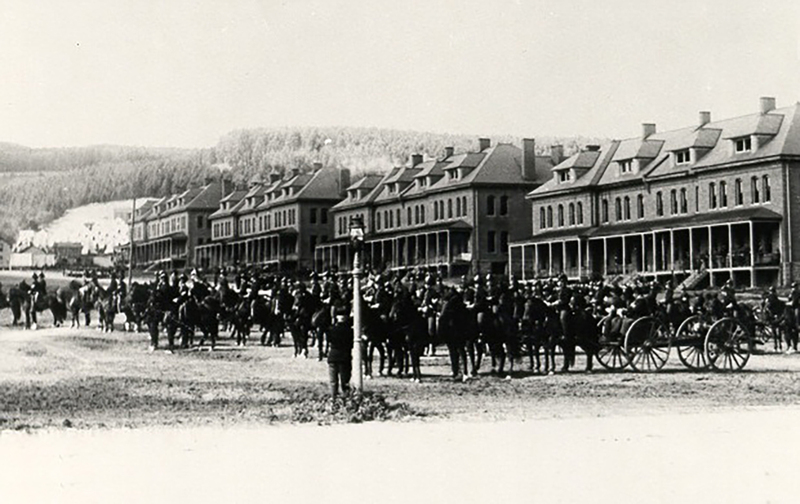 The Presidio Trust sought to preserve the historic Montgomery Street barracks and make them commercially viable, but it faced limited public funding and uncertainty about the buildings’ structural integrity. 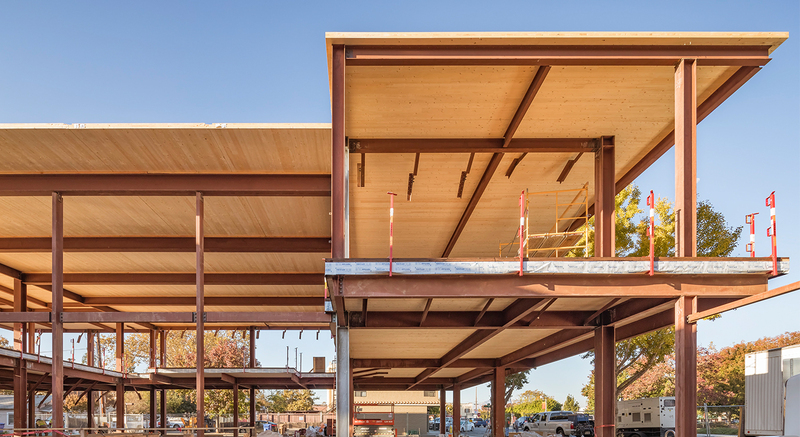 The Trust hired Holmes Structures to address these initially conflicting objectives. We began by asking the right questions to help the Trust rank its priorities for the project. 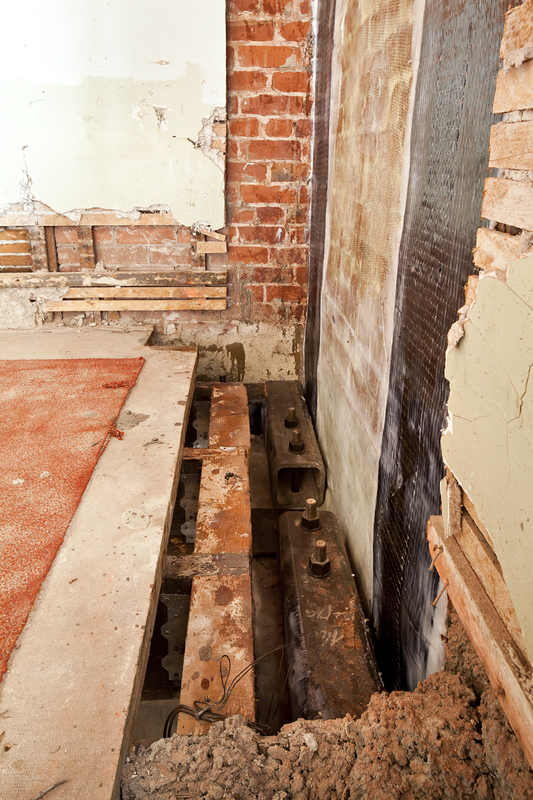 The Trust decided its greatest responsibility was to steward the buildings through historic preservation. 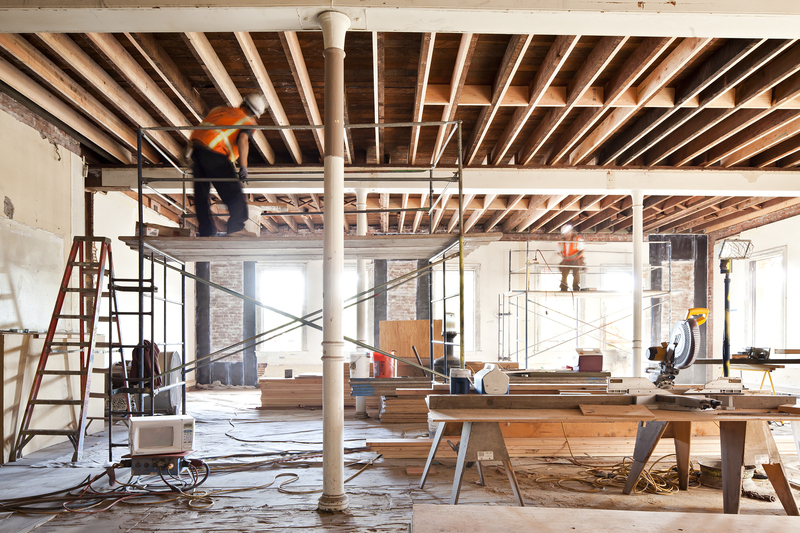 The first phase of the project converted Buildings 101 and 103 into commercial office spaces. 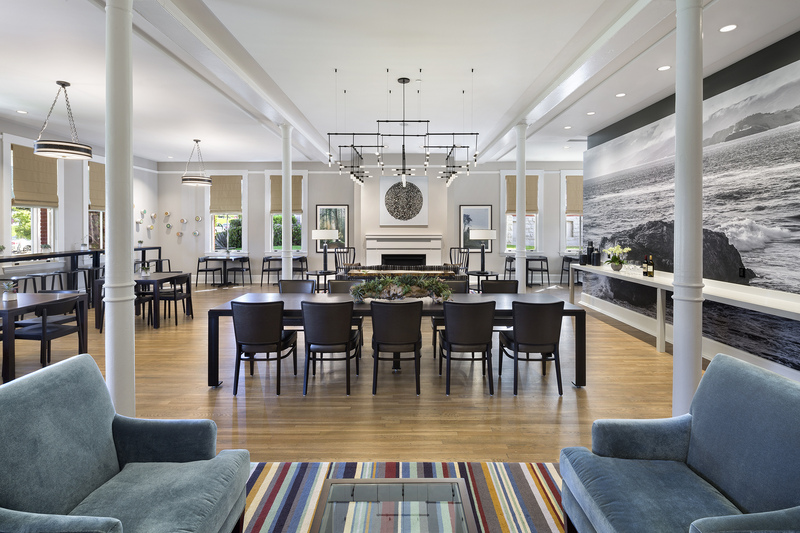 The second phase renovated Building 105 into a boutique historic hotel, the Lodge at the Presidio. 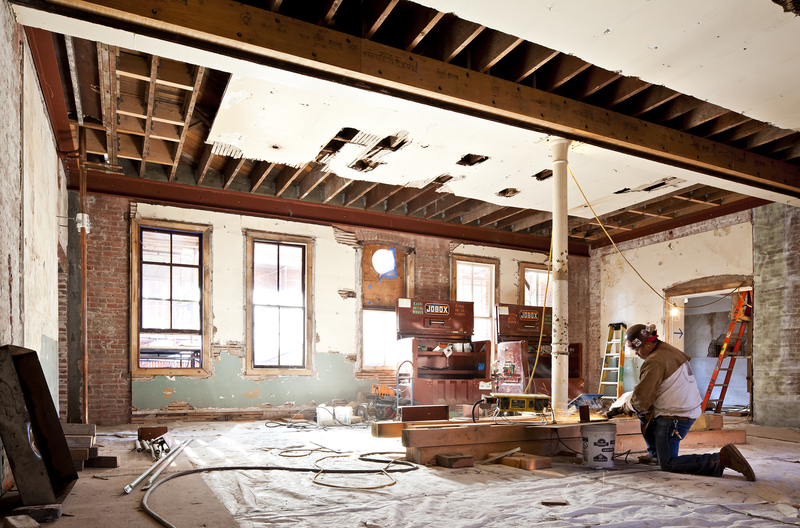 For all three buildings, the Trust’s goal was to preserve as much of the buildings’ original plaster and woodwork as possible while maximizing floor space. 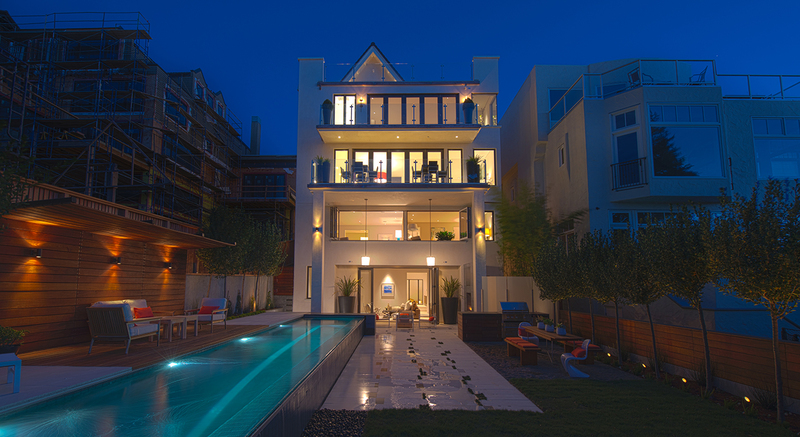 We developed a philosophical approach to use the buildings’ existing masonry and timber to their greatest potential. 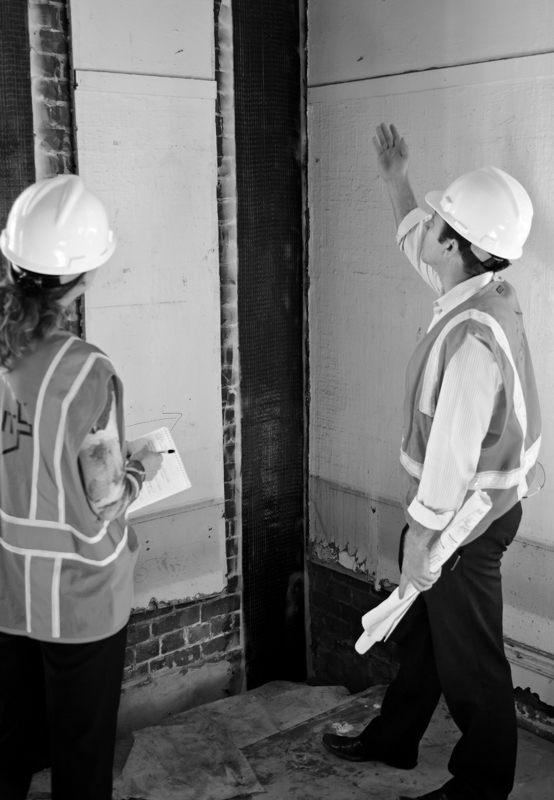 We invested time in testing and understanding the shear strength of the mortar, and we used Performance-Based Engineering (PBE) analysis to determine how the buildings would perform during a seismic event. 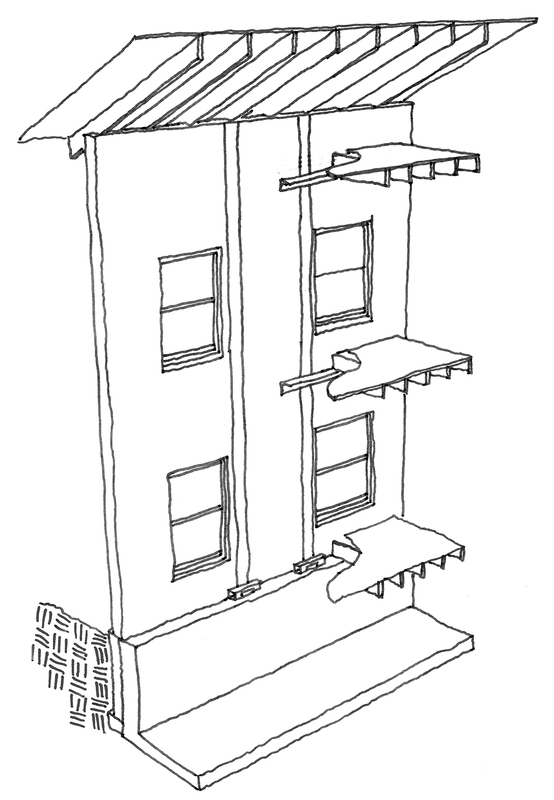 Our investigation gave the Trust a new understanding of the buildings it had been entrusted with—and its options for preserving them. 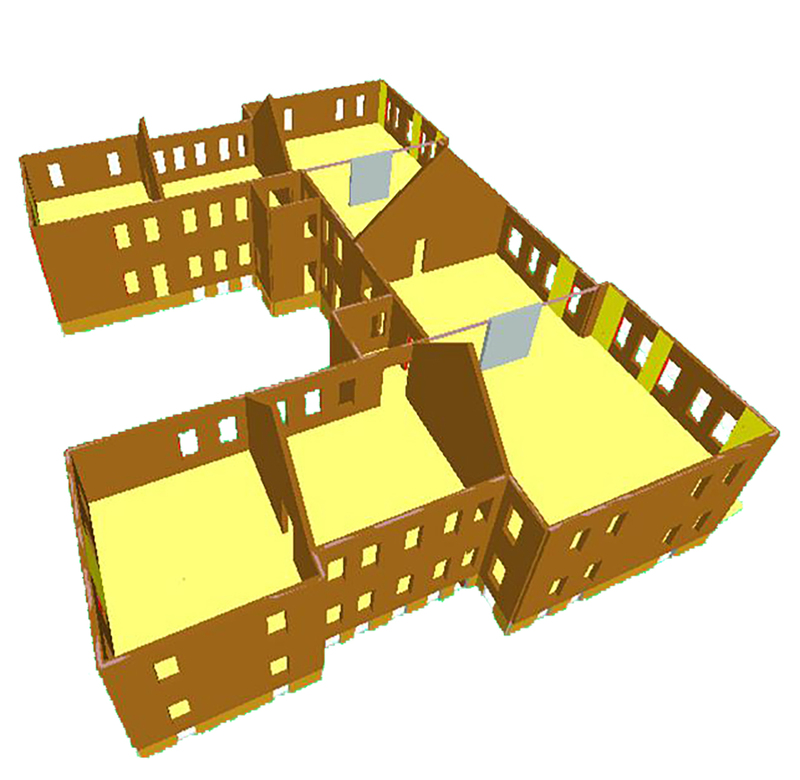 Non-linear finite modeling was utilized to take into account all of the existing strength of the historic materials. New strengthening was added judiciously in specific areas. 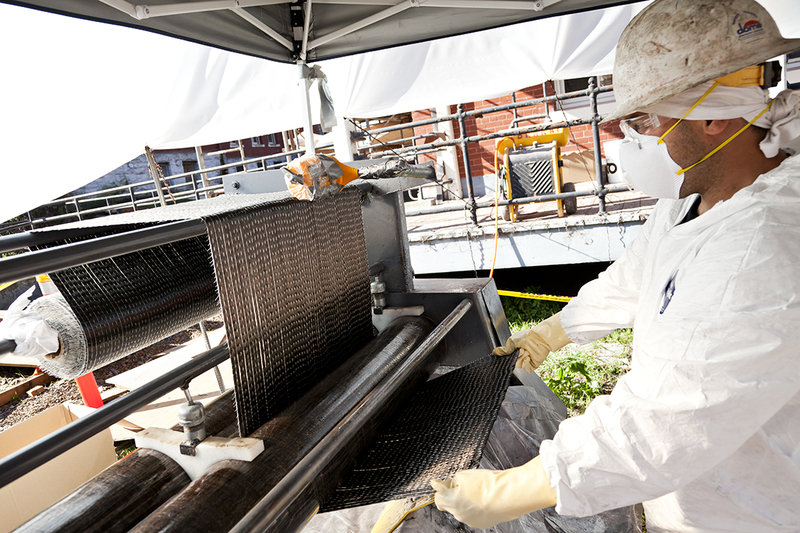 The solution strengthened the existing unreinforced brick masonry using glass and carbon Fiber-Reinforced Polymers (FRP). With this innovative technique, lightweight high-strength fibers are bonded together in thin polymer sheets. The long sheets are then strategically applied over the structure to improve deficiencies. 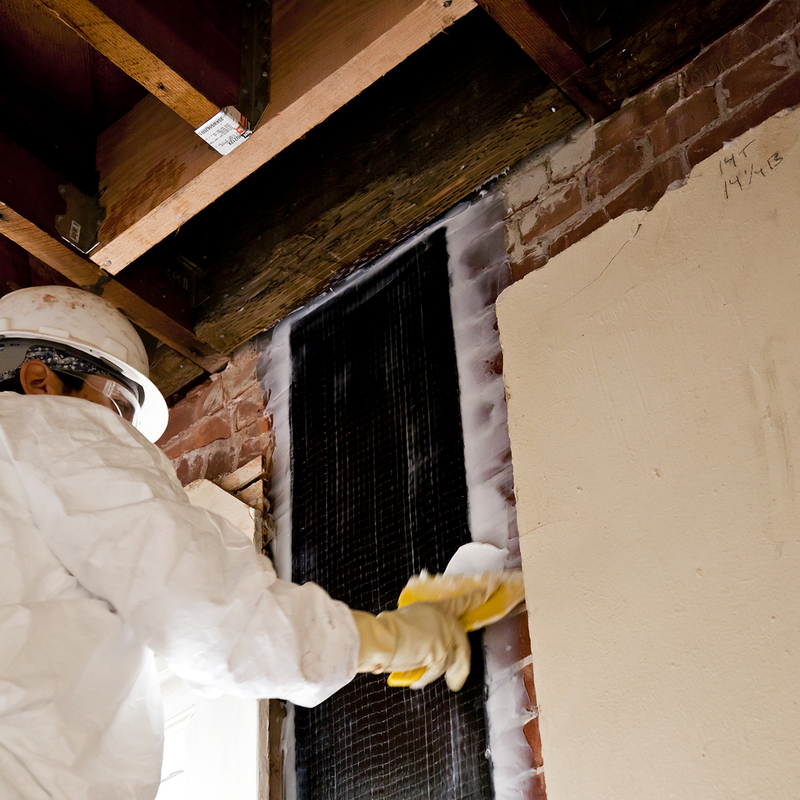 The FRP solution required minimal removal of the buildings’ plaster and woodwork. 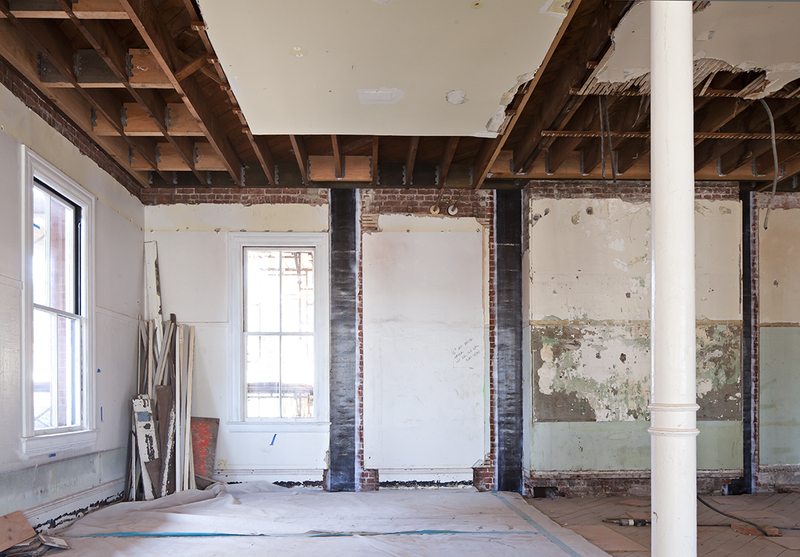 In addition to the preservation benefits, the FRP approach minimized demolition and rebuilding—reducing the overall project cost by 3% and saving an estimated 25% of embodied energy relative to alternative construction materials. By taking the time to ask great questions, listen to the client’s priorities and fully explore the possibilities, Holmes Structures designed a solution that preserved one of the nation’s most significant examples of historic military architecture. 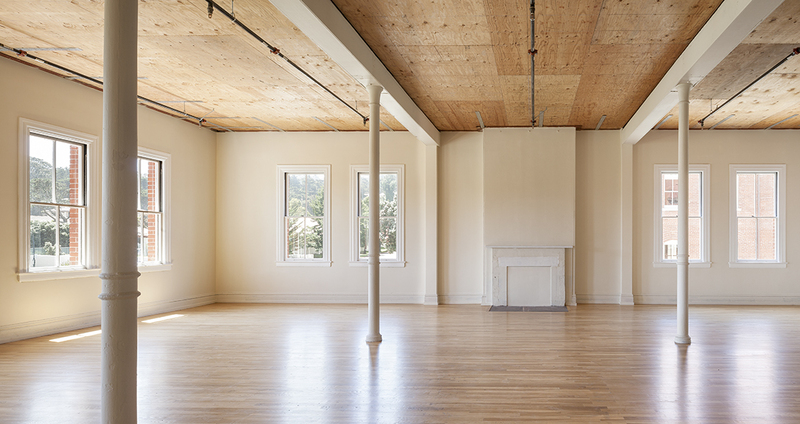 At the end of the project, the Presidio Trust decided to use Building 103 for its own office space, so that it could share the story behind the buildings’ preservation with visitors. 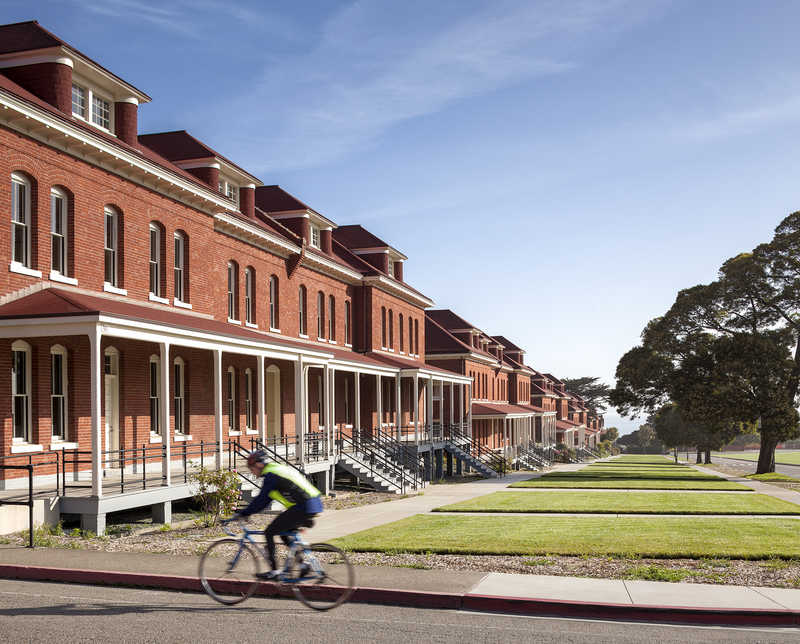 A testament to our strong relationship with the Presidio Trust, Holmes Structures was selected a second time to restore barracks on the Main Post as part of the team converting Building 105 into a boutique hotel. 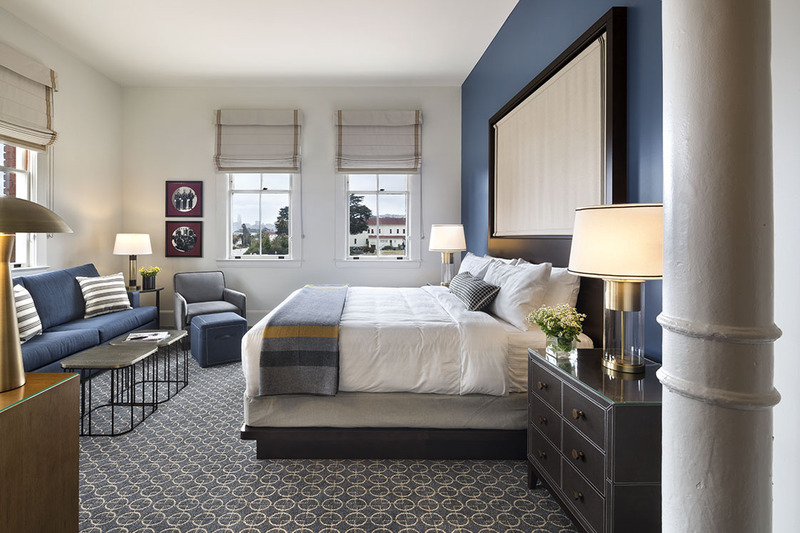 This partnership resulted in the incredibly well-appointed Lodge at the Presidio. 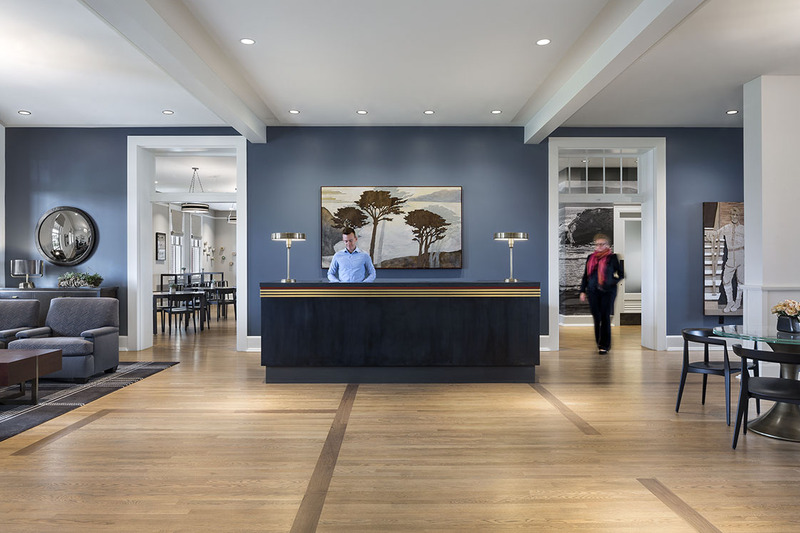 This new hospitality space continues to meet the Presidio Trust’s mission to create an enduring resource for generations to come. 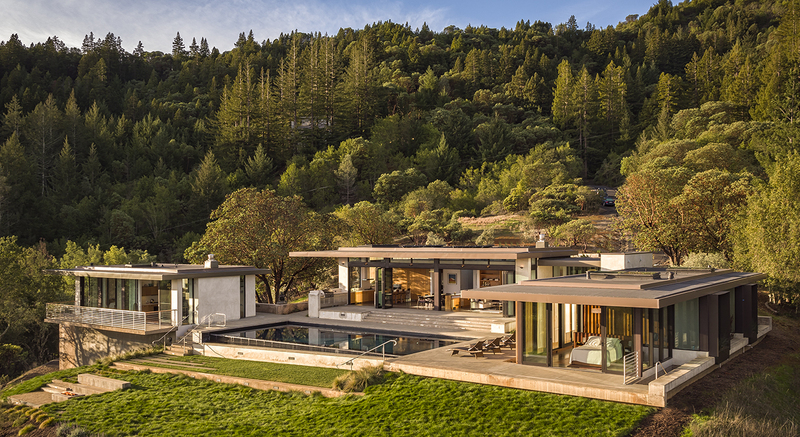 In a remarkable experience, guests can rest in a refined National Park lodge while taking in views of the Golden Gate Bridge and the Main Post once observed by early military personnel in the late 1800s.